The south beach diet was originally developed to prevent heart disease but became famous as a weight loss diet. 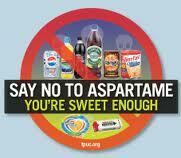 It is based on the fact that the body releases insulin to deal with sugar. Certain carbohydrates create a sugar ‘rush’ in the blood stream and insulin is sent in to transfer this sugar to the cells. Eventually, after many years of constant overproduction of insulin to deal with sugar spikes in the blood stream the cells become resistant to insulin and the result can be diabetes and other problems. Insulin overproduction can also make you fat. This diet is not a low carb diet, although phase one of the diet certainly is. It has aspects in common with Atkins and The Zone diet but it allows a much higher level of carbohydrates, replacing refined sugars and grains (e.g. white rice, white bread) with whole grains, vegetables and beans. It also replaces trans-fats and saturated fats with unsaturated fats from nuts, lean meat and fish. This phase is very similar to the Atkins diet phase 1 and restricts carbohydrates for two weeks. In this phase you eliminate processed carbohydrates, sugars, all fruits as well as vegetables with a high glycemic index. You will also eliminate all alcohol. You can eat vegetables, low fat dairy products,, soy milk, lean meats, chicken and fish, nuts and seeds, a variety of oils (e.g. olive, walnut, canola), and mayonnaise. Snacks should be eaten between breakfast and lunch and also between lunch and dinner. After the first two weeks you can re-introduce most fruits and vegetables as well as some whole grains in the form of whole wheat bread, brown rice, wholemeal pasta, and others. Introduce one a day and see how you feel. If you experience any grogginess or low energy leave that food out in future. This phase lasts as long as you want to lose weight. This is the lifelong maintenance phase. You can eat any food you want now but concentrate on low to medium glycemic index foods. If you start to gain weight return to phase one and start again. Of course it is up to you what diet you choose to follow. As with Atkins the south beach diet has come in for its fair share of criticism. This diet has a lot of problems with it and some of the recommendations are not good from a health point of view. Can you lose weight on it? Yes. Is it a good choice for a lifetime of fitness? Unfortunately, no. The diet encourages the use of Nutrasweet /aspartame, a dangerous food additive; is misguided on margarine, a really bad product; and encourages the use of dairy and grain products that were absent from the human diet for most of our history (see Paleo Diet ). It also doesn’t appreciate that saturated fats can be a good thing if used correctly. The maintenance phase essentially becomes another version of the Standard American Diet with less sugar and luckily more fruit and vegetables so I guess it isn’t all bad. There are better diets out there for attaining lifetime fitness and an electric physique. If you want to find out more you can purchase the book below. Good luck.